We see patients from all walks of life with all types of concerns. They all want to get and stay healthy. Health is a state where the body is in balance and functioning at its best. Balance means that your body’s function is neither too high nor too low. Everything in the body has to be where it should, i.e. : in balance. Diseases, on the other hand, occur when the body strays from a normal state of balance. Illness and diseases are signs that your body is out of balance. The nervous system regulates your body’s natural balance and controls all of your body’s functions. It is the system that enables your body to adapt and survive. Any interference with the nervous system inhibits your body’s ability to maintain balance. In our office, we do not try to control and regulate your body for you. Here, we focus on the initial cause of your body’s imbalance. 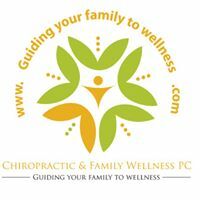 We remove any interference with your nervous system, thus allowing your body to heal and repair itself. Chiropractic adjustments, together with a wellness plan, allows your body to heal, express and regulate itself so you can reach optimum health. Also, we see patients who are seeking natural help to combat high cholesterol, diabetes, metabolic syndrome, weak immune system, asthma, eczema, chronic and adrenal fatigue, hormonal balance, weight loss, need exercise programs and vitamin consultation. Regardless of what your health concerns, you can always call and ask our staff to speak with our doctors. That is the best way to see if you fit in our office and if we can help you. Our office provides safe, gentle, effective, drug free alternatives. May be, it’s time to see what our office can do for you.